Identify the below images. Each is a different species. 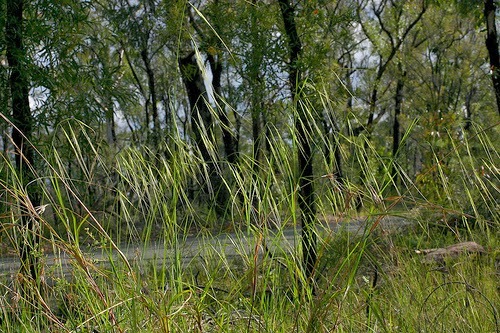 Which is Microlaena Stipoides or Anisopogon Avenaceous or Austrostipa Pubescens? Distribution: Microlaena is the most common also the only one in Western Australia and Adelaide. 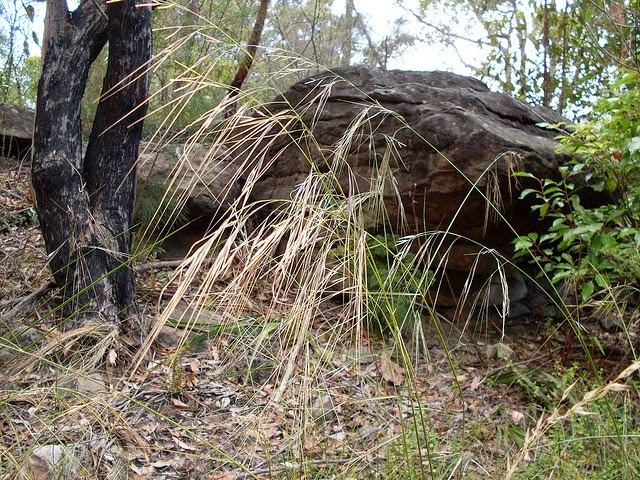 Anisopogon is found only in Blue Mountains and coastal Northern Victoria. Inflourescence: All have compound panicles. Microlaena has the shortest 7cm - 19cm, and also sometimes appears in raceme as well as panicle. The others are 17cm-30cm. Microlaena's spikelet is also different with 3-4 florets, the others' spikelets just have 1 floret. 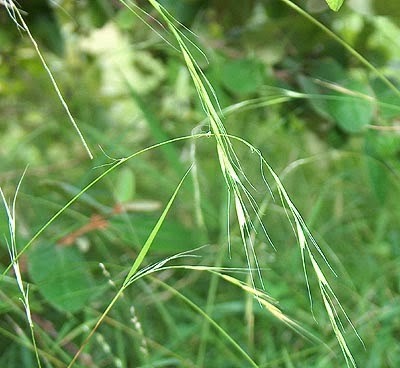 Stems/Blades: The Austrostipa does not grow downwards till the mid-culm internode, but the flowers get so heavy the stem bends anyway, the others can grow erect or descending from the base stem. all have flat and involute leaf blades (rolled inward at the edges).. the microlaena also has convulute (rolled inward at the stem). Microlaena is smooth, Austrostipa is hairy, Anisopogon is smooth or scabby.